Acton has a rich and interesting history dating back to the 1860's when news that gold was discovered in Soledad Canyon led to the formation of the rough and tumble mining town originally called "Soledad City." Rumored to have been suggested as a replacement destination for the state capitol in the late 1890's (Which was soundly rejected), Soledad City was renamed "Ravenna" when the US Post Office rejected the original name for fear it would have been confused with the city of Soledad in Northern California. The late 1800's also brought the railroad through Ravenna, where the town began to blossom and become settled by more distinguished residents, many of whom were ranchers and farmers. Eventually, Ravenna was permanently renamed "Acton," a name which still stands today. Along with its rich history, Acton is dotted with lovely ranch communities and estates. Lying on the northeastern outskirts of the Santa Clarita Valley, Acton lies halfway between the City of Santa Clarita and the Antelope Valley communities of Palmdale and Lancaster. Many people who move to Acton enjoy the solitude of small town life combined with the ability to easily get to points north and south. 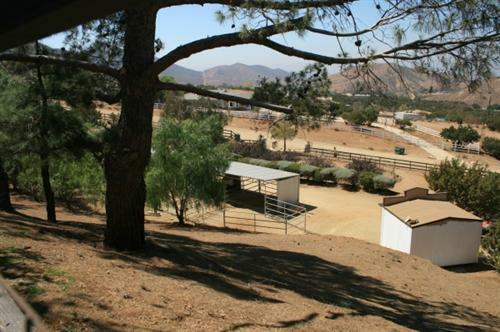 Looking for Agua Dulce Listings?